‘Little youth rally’ draws 12,000 as teens make annual pilgrimage to Winterfest (reporting from Gatlinburg, Tenn.). Currents. GATLINBURG, Tenn. – Envision a crowd at a rock concert — a mob of frenzied fans lined up hours early waiting for the doors to open. Picture the scene at a national political convention — a throng of party faithful with crazy hats and colorful signs. Imagine the audience at a “Let’s Make A Deal” game show taping — a sea of zany outfits and costumes. Mix all that together. Throw in a huge dose of agape love. And you begin — begin — to comprehend the scene as 12,147 teens and sponsors from Churches of Christ in 27 states converge on this mountain resort town. 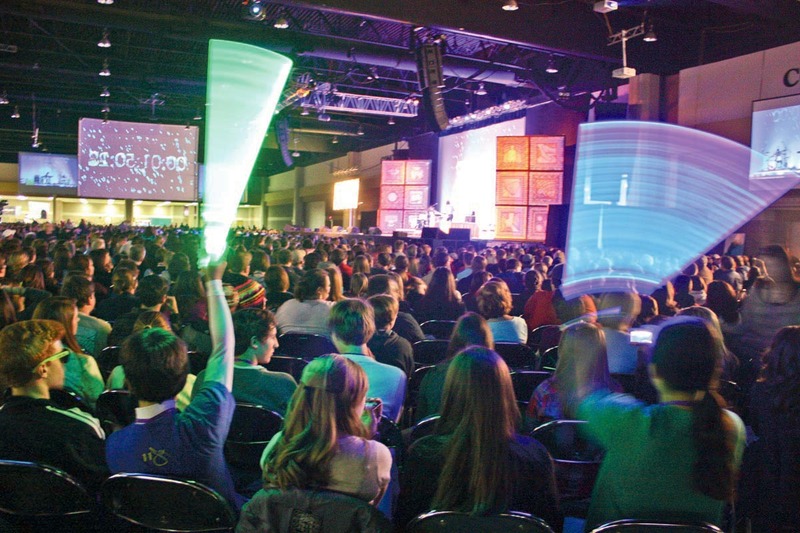 The big draw: a “little youth rally” called Winterfest. Beyond the noise: Quiet time with God (reporting from Gatlinburg, Tenn.). Inside Story. Western Christian forced to close: The Canadian school could not sustain itself as enrollment and donations kept falling, leaders say. Second Front. Nothing but net for new presidents: The sharpshooting new leaders of Lubbock Christian University and Oklahoma Christian University reflect on their families, their faith and the challenges facing Christian higher education. National. This post highlights my stories in the April 2012 print edition of The Christian Chronicle.